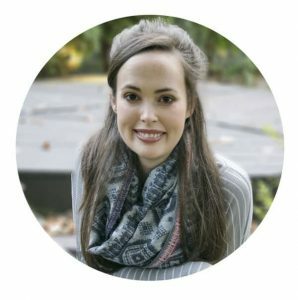 If you didn’t notice already, I love comfort food. I like making the people I love happy with mounds of delicious, buttery food. However, there are health consequences when you eat that way day after day. That’s when I lighten things up! It’s all about balance. 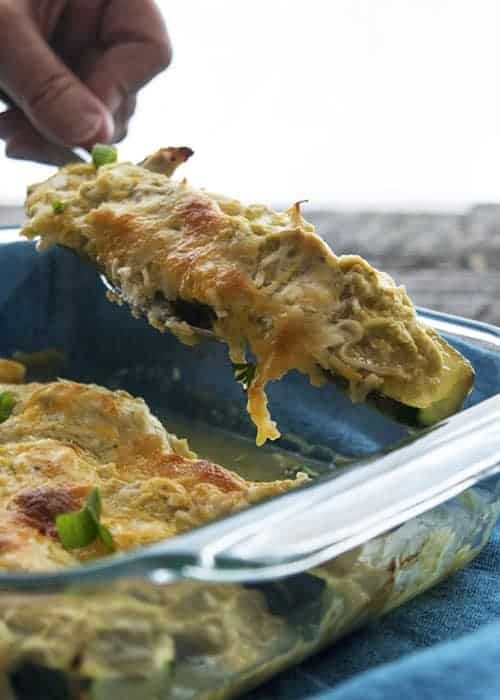 These zucchini boats are a healthy version of my favorite Sour Cream Enchiladas (coming soon). 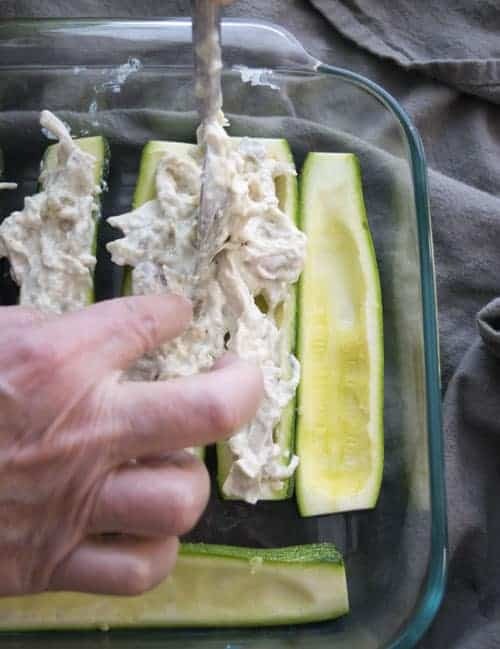 Then stuff each zucchini with my favorite creamy chicken mixture. This is great for a quick weeknight meal, because I just use a rotisserie chicken from the grocery store. It saves so much time! I mix together chicken, sour cream, lighter cream cheese, salsa verde, green chilis, garlic powder, salt, and pepper. If you want to get CRAZY healthy you could try out plain Greek yogurt instead of sour cream and cream cheese. Bake and dinner is ready! 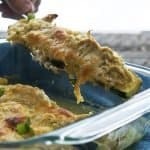 Healthy Green Chili Sour Cream Chicken Zucchini Boats are a great low carb alternative to enchiladas. 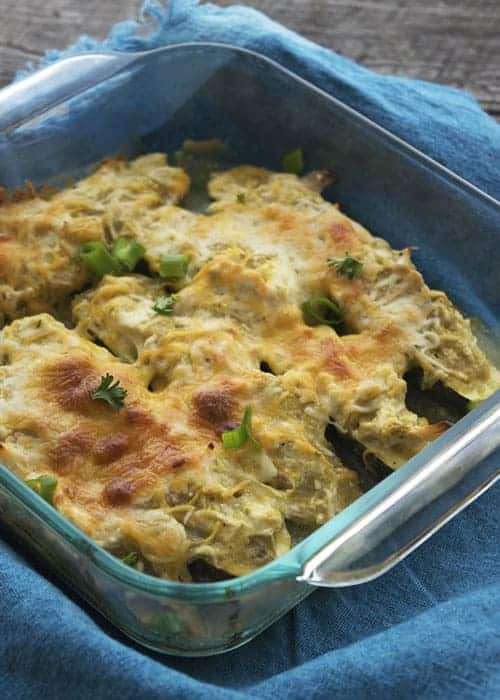 They are an easy weeknight recipe you can easily throw together. 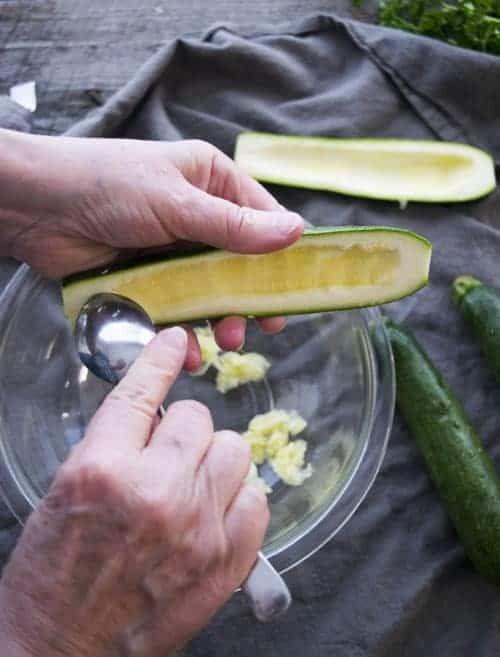 In a 9 x 13″ dish line up the zucchini’s with the inside facing up. Stuff each zucchini with about 2 Tablespoons of the creamy chicken mixture. Pour ¼ cup of salsa verde on top of the stuffed zucchinis. Sprinkle cheese on top.